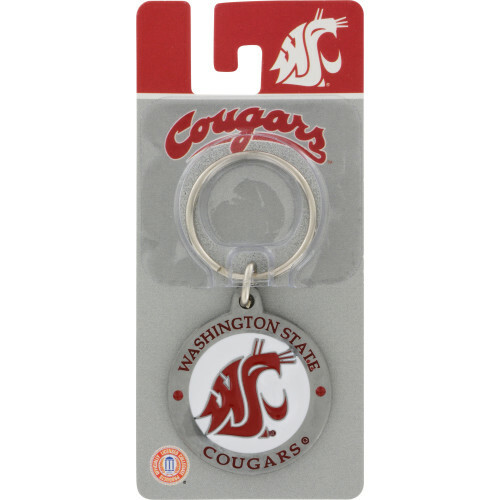 Show your team spirit with this officially licensed College key ring. 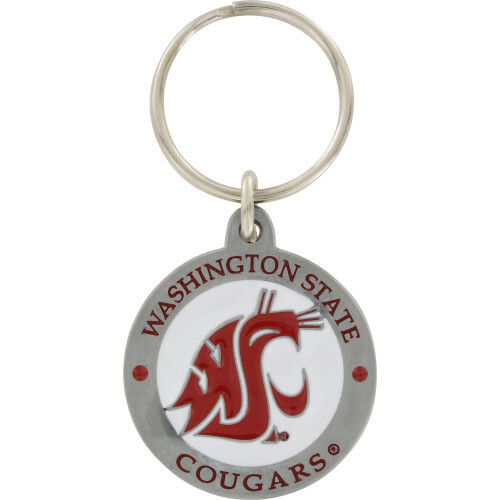 Made of nickel plated steel, this key ring shows your team's logo and colors. It's the perfect way for sports fans to keep track of their keys.